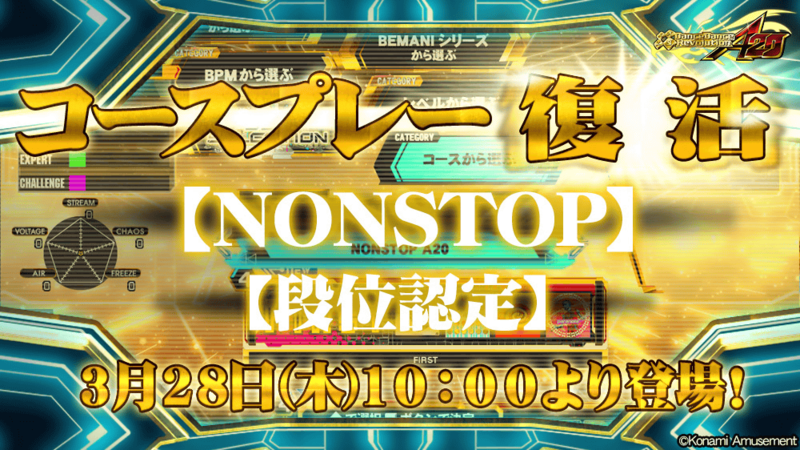 As of 3/28/2019 @ 10:00 JST, DDR A20 has added NONSTOP courses and “Dan ranking” courses, similar to CLASS mode in beatmania IIDX, to normal gameplay. They can be selected only on the 1st stage. 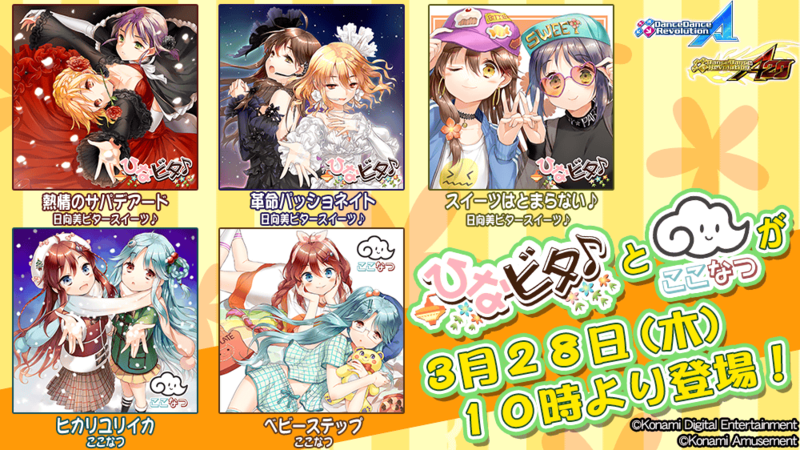 Completion of a “Dan ranking” course will earn the player a rank that shows under their player profile upon login. These songs come from their new album, “Sweet Smile Pajamas Party”.